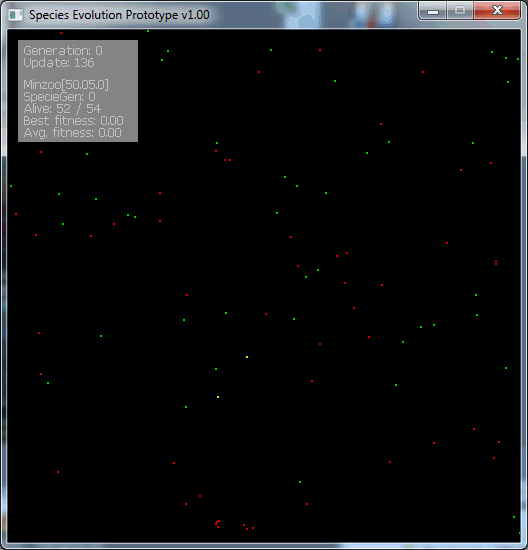 Proof of concept for learning Neural networks and genetics algorithms developed in 2012. Simulates an environment of species that must survive and create a kind of “society mind” on a 2D world. The neural network and genetics algorithm code is based on the amazing docs created by Mat Buckland. Fully customizable using external XMLs. Supports OpenMP for a very fast evolution on multi-core computers. Evolution can be shown on the screen (slow but nice to see) or can be done on background (very fast but no visual output is provided). 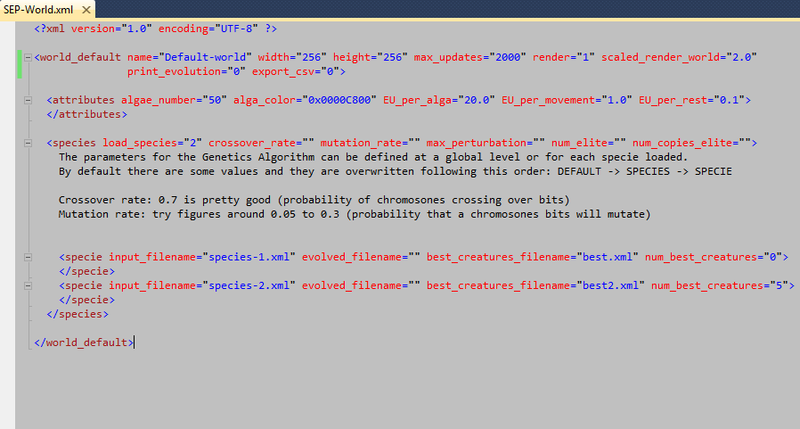 You can easily add new species, by default there is only one (fully customizable) named Minzoo. Developed in C++ using CRM32Pro.